This is my first time reading Lisa Gardner. It will not be my last time. 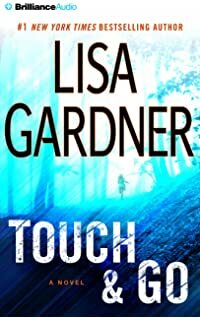 Touch & Go is really a refreshing thriller. Because it's my first Lisa Gardner's book, I really didn't know what to expect and with totally no expectation, the reading experience really paid off. It was exciting without been too overly so. It was thrilling but at a controlled pace and not all over the place. While investigator Tessa Leoni seems to be the the main character in this series, Libby Denbe seems to be the one with the back story. Plot wise and story wise it was enjoyable. However, character development wise seems to be lacking and we don't really know the characters for who they really are. However, since the story line is good, I am quite ok with that. I guess Lisa being a female author would appeal greatly to the women out there. I am not sure how the men would find her books as I have come across some male readers who discriminate against female author. All I can say is, it's their loss.